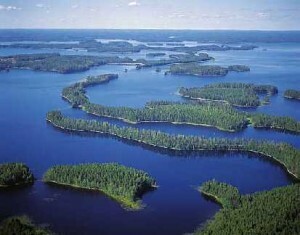 Known for its heady perfume and sweet innocence, the lily-of-the-valley is the state flower of Finland. The lily-of-the valley is one of many beautiful things of this Nordic country. Just as Jean Sibelius helped to define Finland with his instrumental tales of romance, the lily-of-the valley speaks of the love and purity. 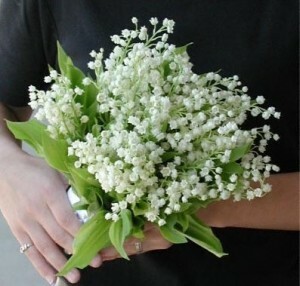 In truth, the lily-of-the valley means purity and sweetness in the language of flowers making it a moving addition to any bouquet or garden. The lily favored as Finland’s symbol flower is easily recognizable by its delicate scent as well as its beautiful bell-shaped flower drop. The white flowers droop much like wedding bells from the brilliant green stalks. This pretty shape and the sweet fragrance make lily-of-the-valley a popular addition to wedding bouquets and country gardens designed for soft beauty and scent. Blooming in the spring with beauty lasting through the summer, the lily’s symbolism of purity also makes it extremely popular for weddings. Lily-of-the-valley makes an excellent bouquet and is often included in summer flower delivery bouquets as it suits the seas. on so perfectly. But if you have cool summers, you can easily grow your own lily-of-the-valley. These temperate plants are hardy in cold weather and are tolerant of shade and virtually any soil condition. Lily plants grow up to twelve inches and bloom with pretty white bell blossoms in the spring lasting through the summer. Plant new lily-of-the-valley clusters in the early spring or fall. In cooler climates such as Finland, the plants can live for decades with very little care or maintain. However in warmer climates where summers reach hot temperatures, the plants will die out quickly and need to be replaced annually. This entry was posted on Tuesday, April 28th, 2009 at 6:45 pm	and is filed under National Flowers. You can follow any responses to this entry through the RSS 2.0 feed.